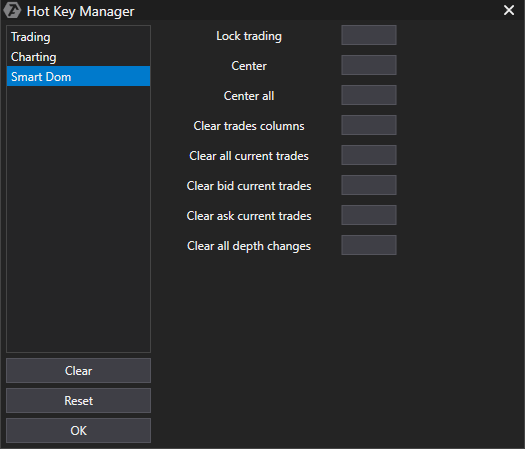 This function can be used to configure hot keys to your liking, for trading and for chart and DOM functions. Select the Settings menu item in the main menu. * Click the Clear button to clear the settings. To return to the original settings, click the Reset button. 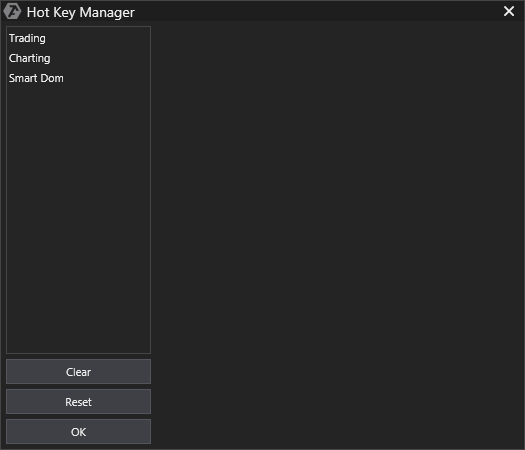 To set parameters, click on the gray rectangle next to the operation, which will open a window where you need to set the hotkey combination. To delete a combination, click on the X. Trading - configuring hotkeys for trading. 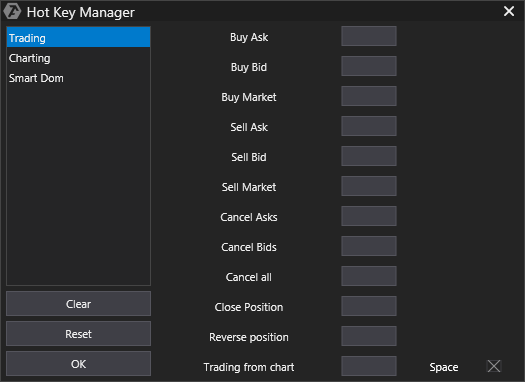 Trading From Chart (by default, this function is activated using the Space key). Charting - configuring hotkeys for chart functions. There are default combinations for charts, which can be edited if necessary. 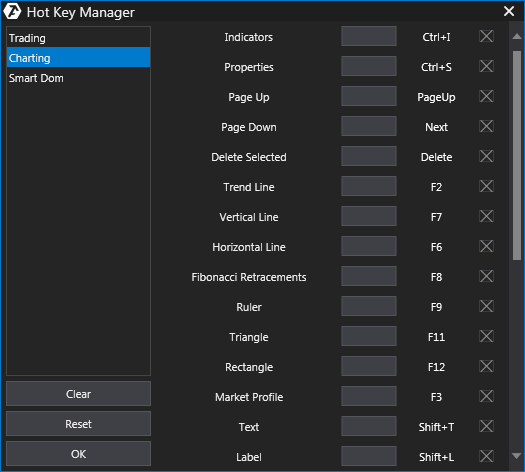 Smart DOM - configuring hotkeys for DOM functions.